Growth Guarantee: now available at Moser Medical! Moser Medical guarantees* a natural look and a growth rate greater than 93%! 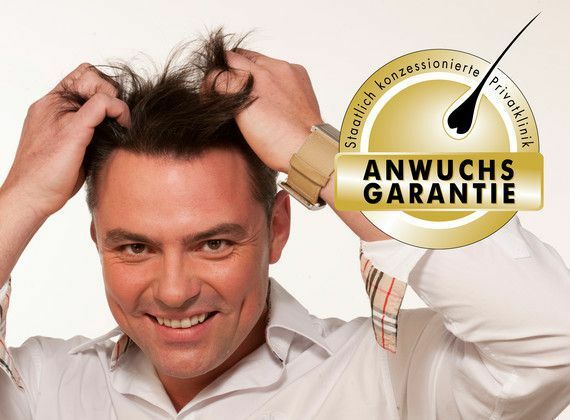 Anyone who gets a hair transplantation expects the best results. At Moser, you'll can be sure to get just that. We guarantee* it. Almost everyone wants a thick, full head of hair, and the good, positive feeling that comes with it! Moser Medical has always achieved the highest level of satisfaction for their patients. During the treatment, the number of transplanted hairs is precisely recorded. One year after treatment, the growth rate is assessed. If the growth rate is any less than 93 percent, we will fill in the missing portion for you as part of our free aftercare treatment. * Because of our experience since 1979 performing over 30,000 treatments, we feel confident in offering this guarantee. Details about the GROWTH GUARANTEE from Moser Medical are available to read here or, learn more as part of a personal, free consultation at one of our 7 service locations across Austria.